Cobra is a classic Japanese manga about a space pirate named Cobra who has a cybernetic arm-laser connected directly to his brain. How cool is that? Pretty damn cool. Over the years, Cobra got a couple anime as well as a handful of video game adaptations. Personally, I dig the look of the sci-fi manga of the late 1970s and early 1980s and really wish more Japanese manga creators would take their visual cues from that era! It's also a nice change of pace to see a tough guy Japanese figure instead of the cutesy stuff which seems to flood stores and websites. 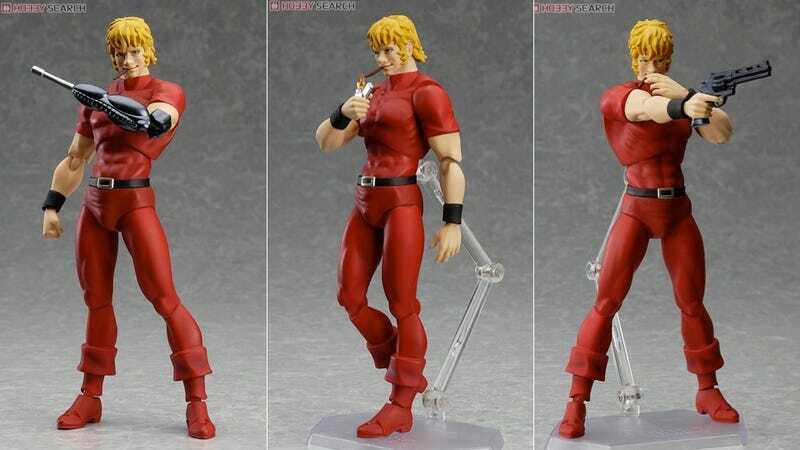 Priced at ¥4,000 (US$45), this Cobra figure will be out this May.